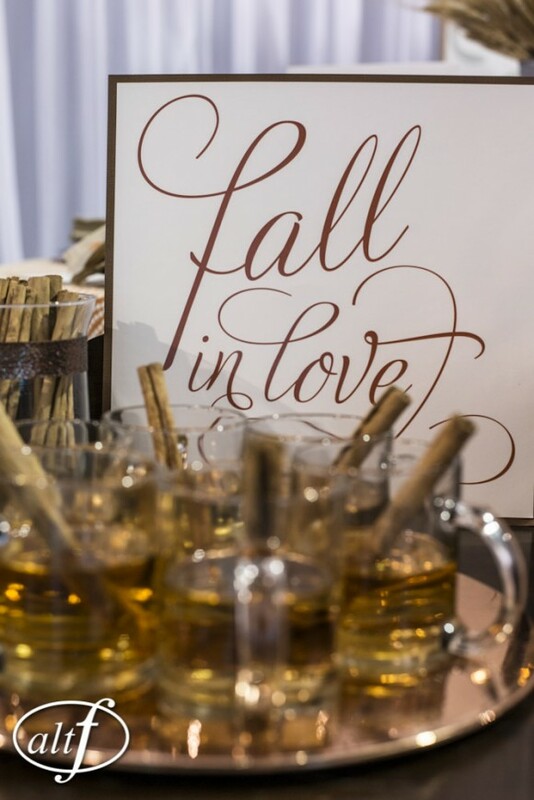 Are you looking for the perfect venue for your wedding day? 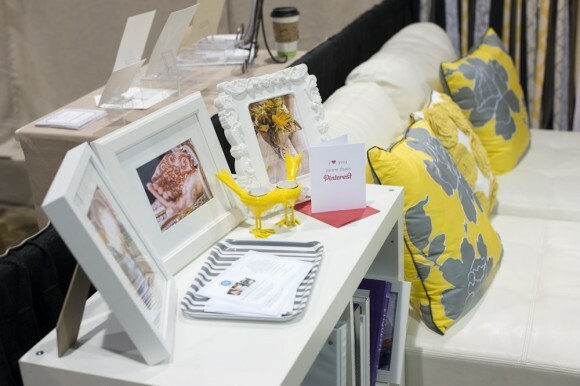 We have two amazing opportunities for you to attend some Open Houses to check out the space and meet vendors! 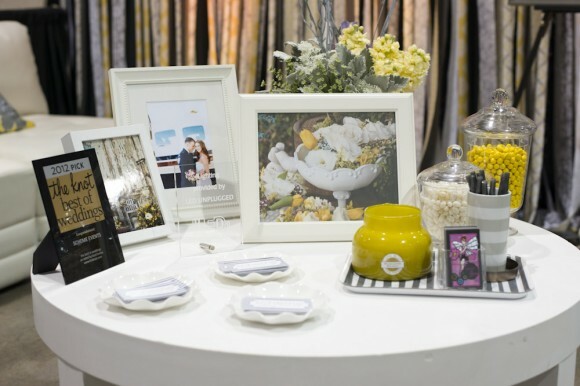 This August, we participated in our fourth Bridal Spectacular Bridal Show. For this show we designed two tablescapes for the Inspiration Alley portion of the show. 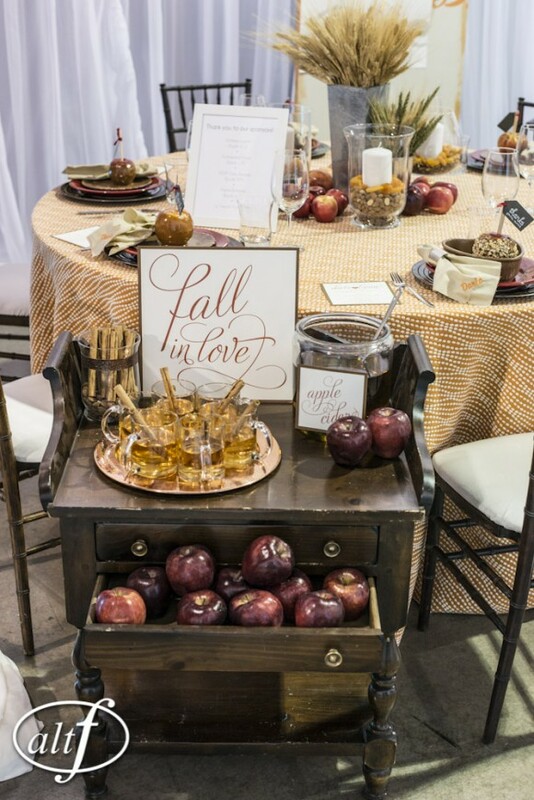 We had so much inspiration ourselves as we had the season of Fall; the three of us love Fall and were super pumped to get designing and ideas flowing. 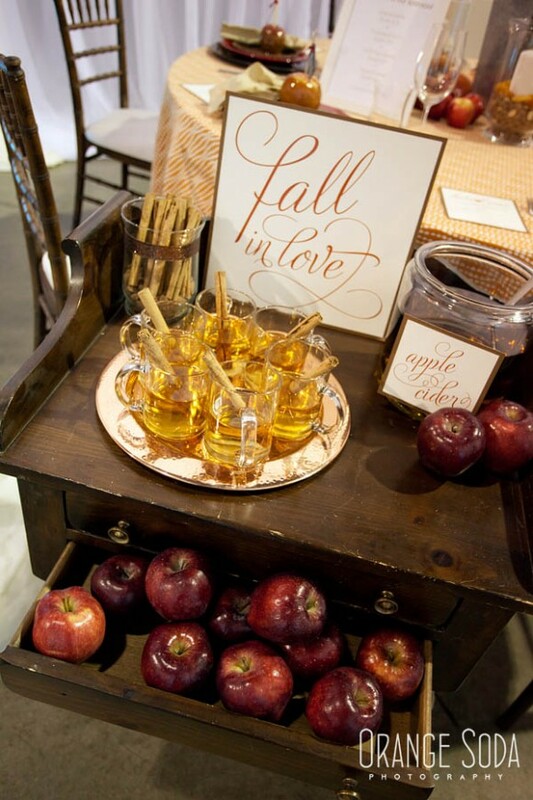 We of course went to Pinterest first to find a little inspiration and then pulled all of our ideas together. 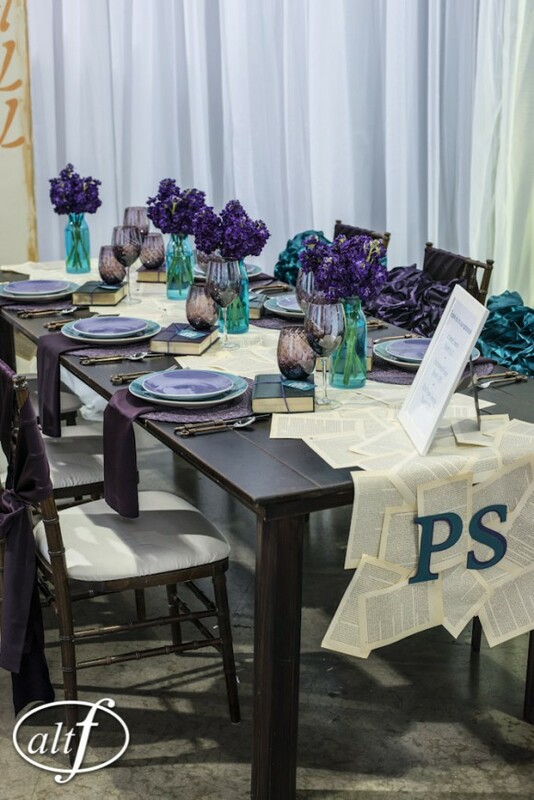 First, we began designing a table with the beautiful table from RSVP Party Rentals… the Napa Table! This table makes us smile every time it is used. 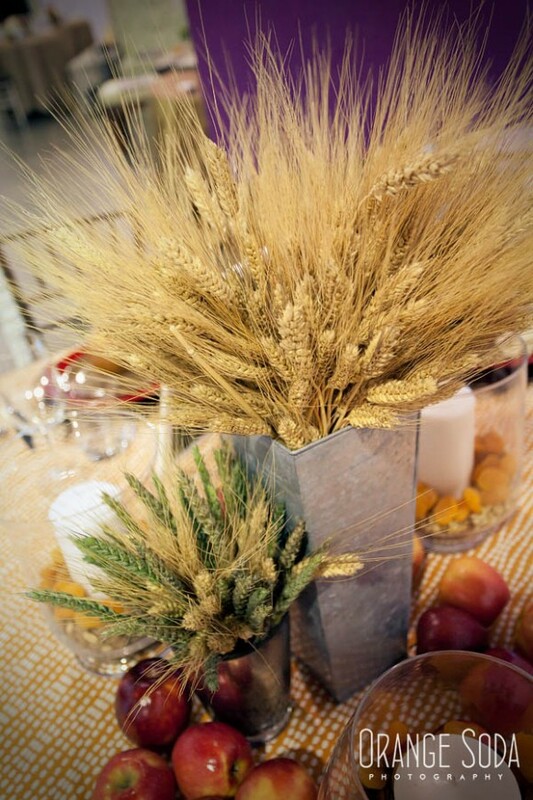 Second, we came up with a holiday/Fall color theme for our other table. Let’s just say we liked each of them equally! 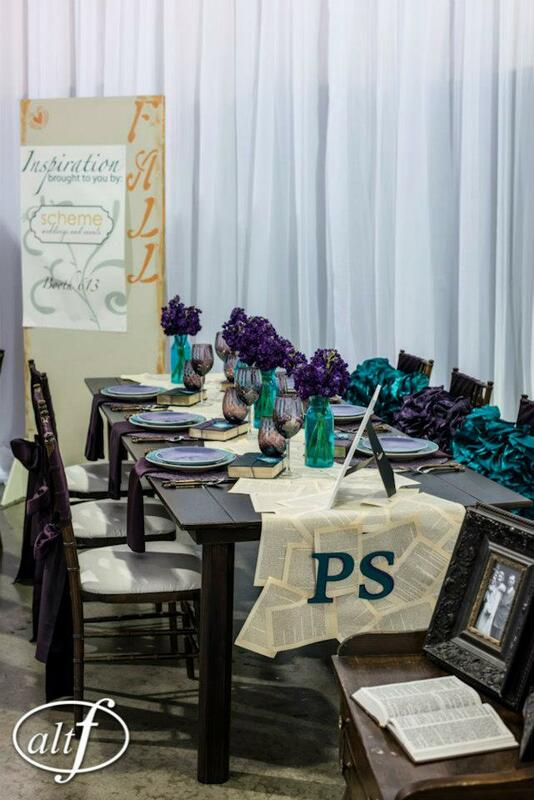 Scroll on to see more of our table scapes as well as our booth! 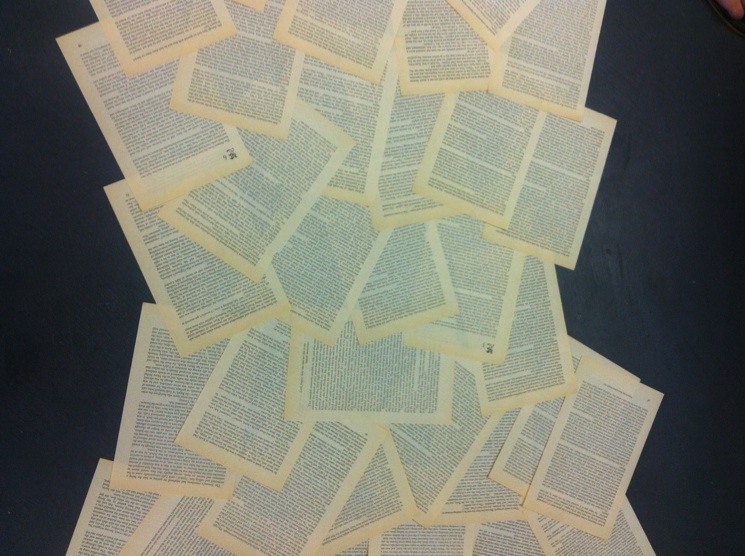 To make a book page runner, take a look at our blog on it here! 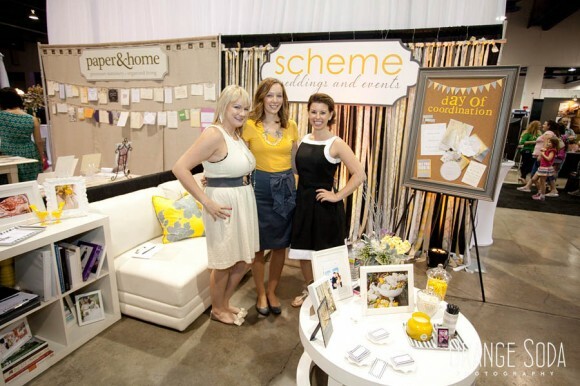 Last week we participated in Bridal Spectacular, a Las Vegas bridal show. 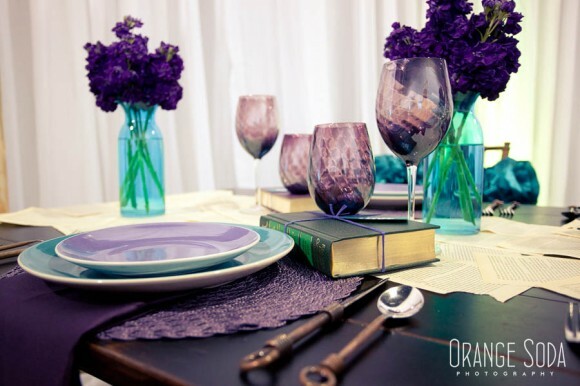 We were invited to create a few inspirational tablescapes for the design portion of the show. 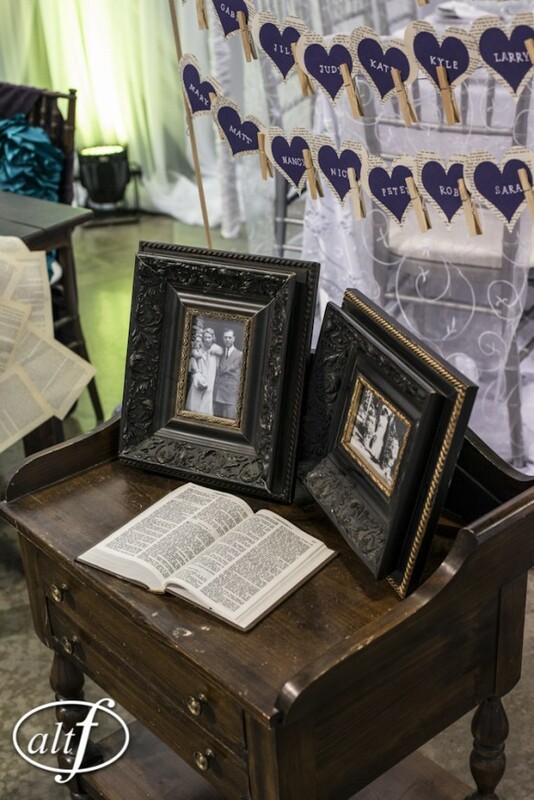 For ages, we have loved the idea of using old books and pages from books as event decor. 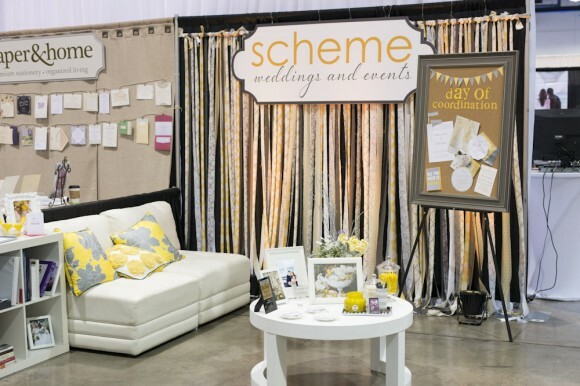 Do a quick search on Pinterest and you’ll find oodles of ideas for backdrops, centerpieces, engagement shoots and much more! We decided to tackle a book page runner and put together a How To for a quick and easy DIY project. 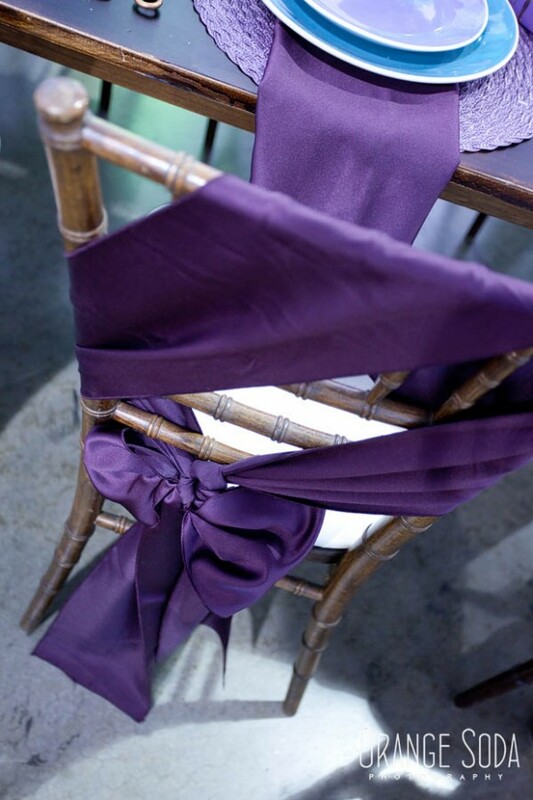 It doesn’t take much time and adds a meaningful and inexpensive detail to your wedding. 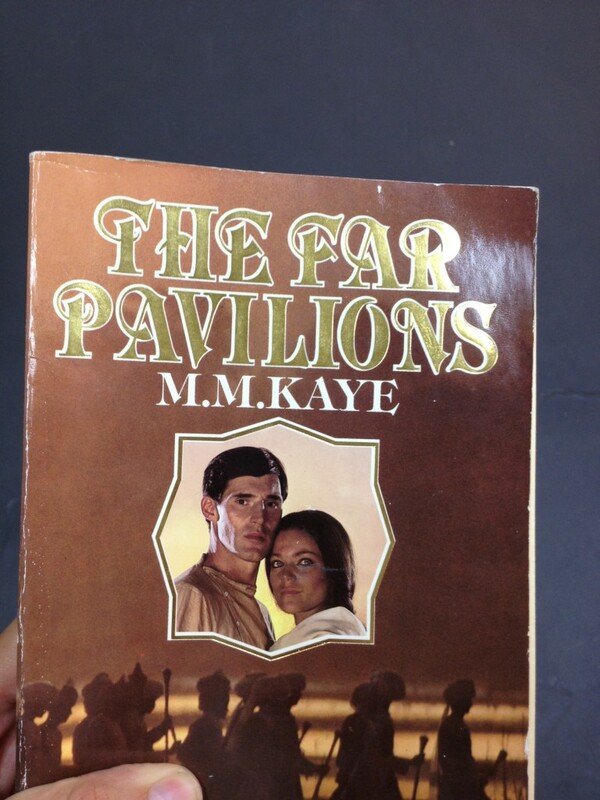 We started with a quick shopping trip to the local thrift store for a book to be used as our runner. 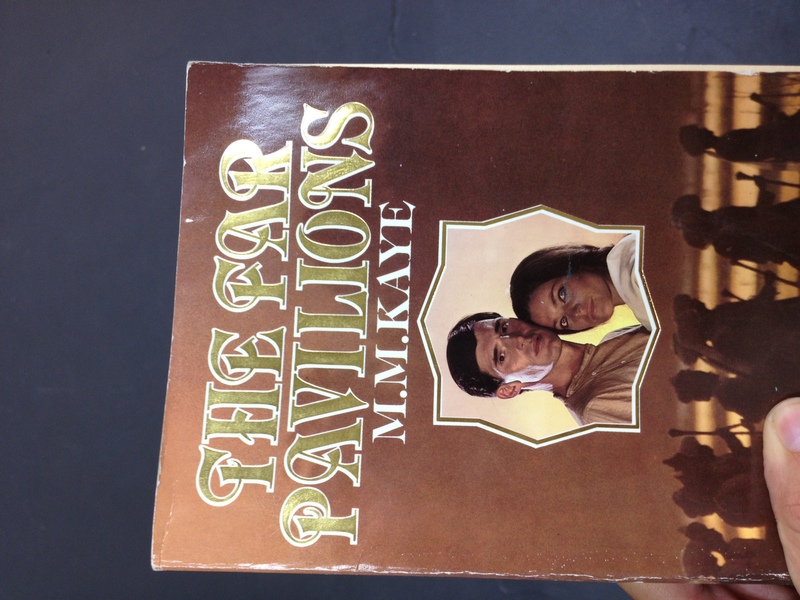 For our look, we wanted pages that were old and worn. The thrift store was perfect and provided many options! We went with this guy…we wanted to make sure we didn’t run out of pages so our strategy was to find one of the largest books available. 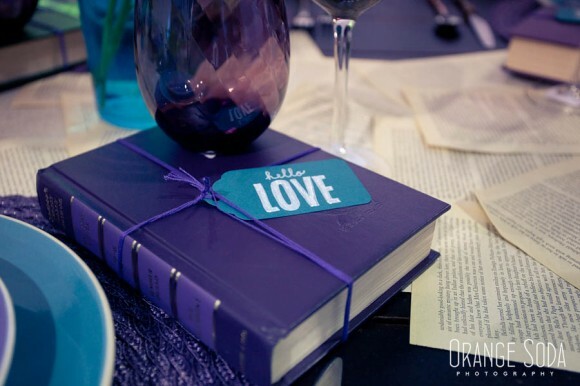 When finding your books, we suggest getting something meaningful to you as a couple! 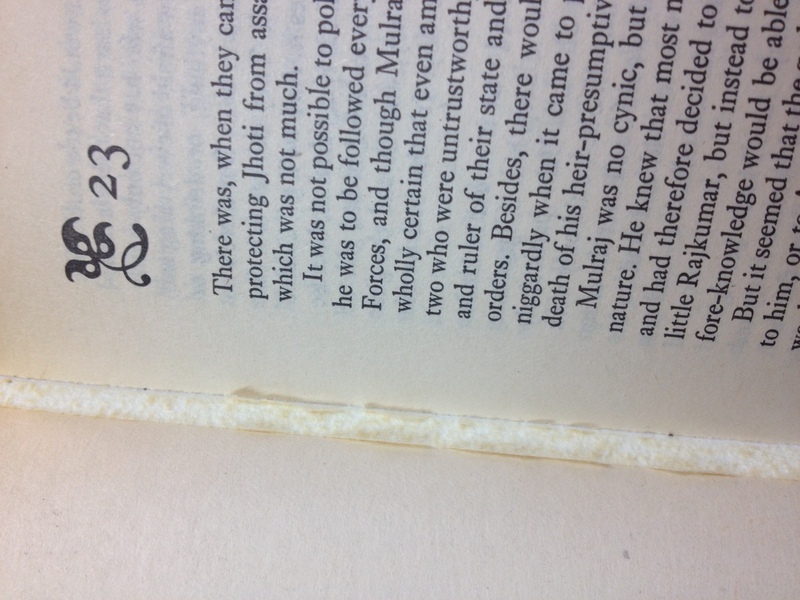 One of the advantages of using an old, worn book is the binding is already primed for removing pages. 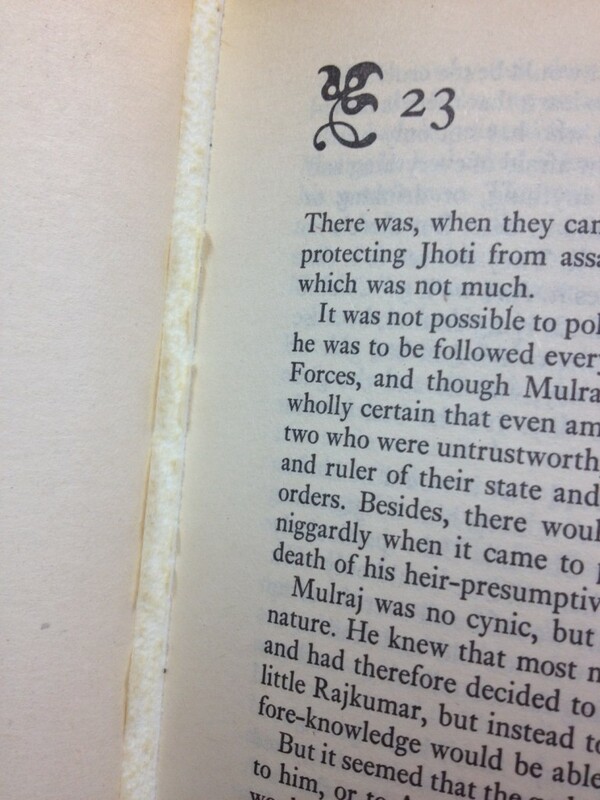 A little bend in the book and the pages popped right out, as you can see below. 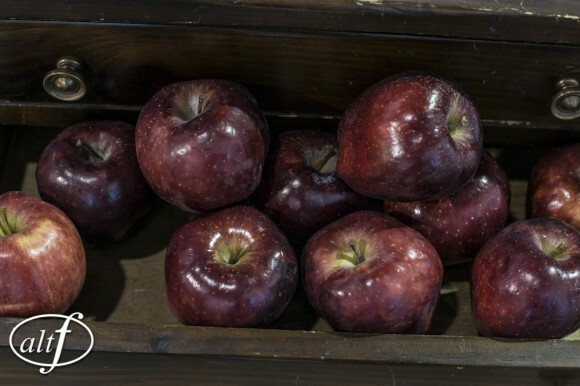 No need for cutting or slicing. 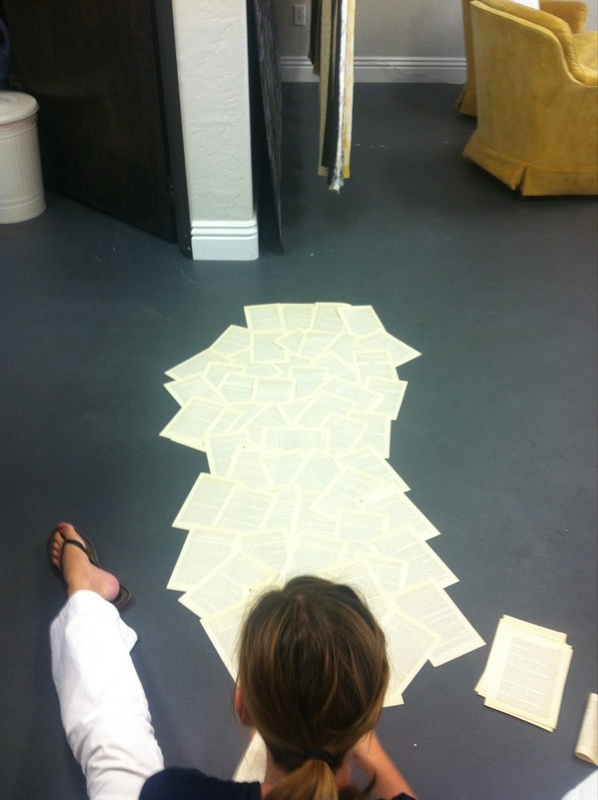 After removing the pages, get situated in a space where you will have plenty of room to create the runner. Rissa sprawled out on the floor and used a ruler to measure out the length she would need. Then get to down to business! Begin by taping or placing a glue dot on each page and building width and length. This runner is ten feet long, using 5-6 pages in width and used about 70 pages. Lastly, include any personal details. We added the initials of the couple. 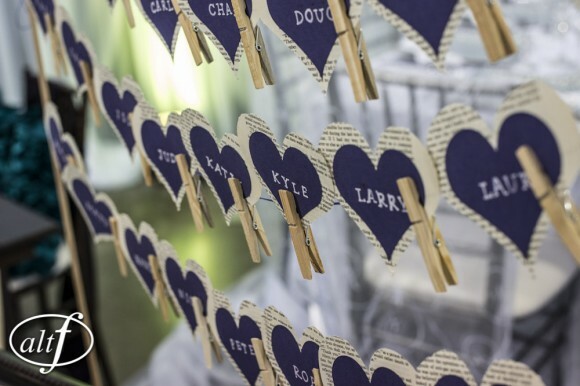 You could put table numbers or fun words on your book page runner. 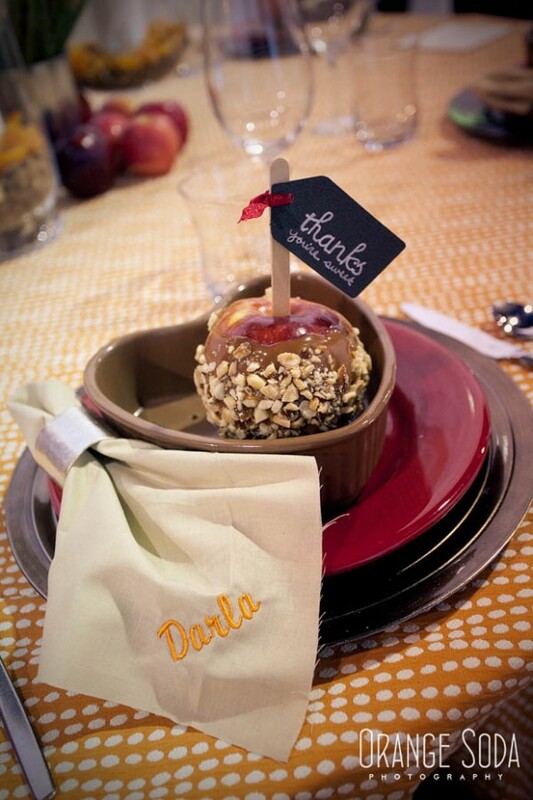 Place on the table and enjoy!